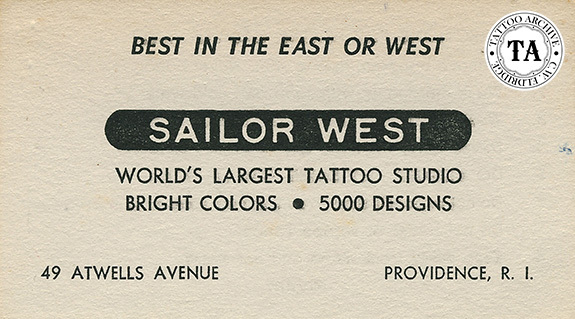 His name is Anthony D'Ambra but in the tattoo business he's better known as Sailor West. I recently got a tip that Sailor West had a cameo in the 1953 movie "Houdini" (about the life of Harry Houdini) which starred Tony Curtis. Sure enough at the very beginning of the film, Sailor West is seen in the background playing the role of a sideshow attraction. 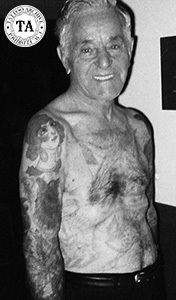 In the 1970's, a newspaper reporter interviewed Sailor West at the Plymouth State Fair in New Hampshire; at that time Sailor West said that he was 75 years old. Leaving home at the age of 15, Sailor West bummed around for a while and then decided he wanted to join the United States Navy. Since his father wouldn't sign for him he found a wino that posed as his father and got him into the Navy. World War I was on and Sailor West got orders to the destroyer the Jacob Jones (DD-61). In a twist of fate Sailor West injured his eye and had to be hospitalized away from the ship, missing the torpedoing and sinking of the Jacob Jones. A Geran submarine is credited with its sinking on the 6th of December 1917 and 66 of the 99 men crew were lost that day. The Jacob Jones was the first ever US destroyer sunk by enemy action. It is unknown when Sailor West was married, but his wife, Cynthia died a tragic death. A news article from Paul Roger's scrapbook reported that a heavy circus wagon parked on a hill near the show lot got loose and ran through the sideshow tent where performers were sleeping. The wagon ran over Sailor West's wife, breaking her leg and giving her internal injuries. She died minutes later in a local hospital. Just before World War II Sailor West joined the Merchant Marines and re-enlisted in the Navy. 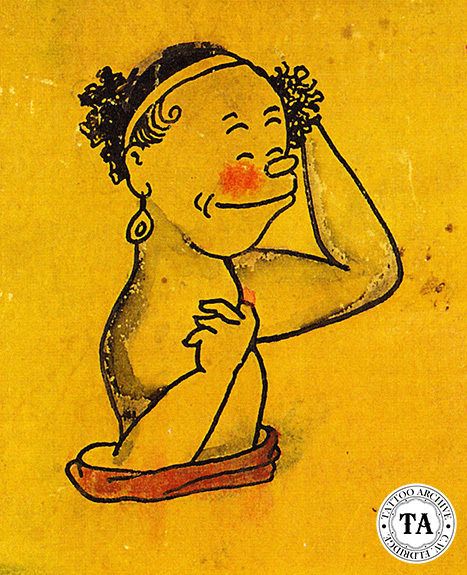 It was during this time that he became interested in tattooing. The 1970's interview went on to state that Sailor West learned to tattoo from Charlie Wagner and spent four years with Wagner, which then lead him to working the circus and carnival circuit for many years; although he did open a shop in the off-season in Providence, Rhode Island and Nashua, New Hampshire. According to Tennessee Dave James, Sailor West would often travel to the west coast during the off-season and work at Capt. Jim's shop in Southern California.